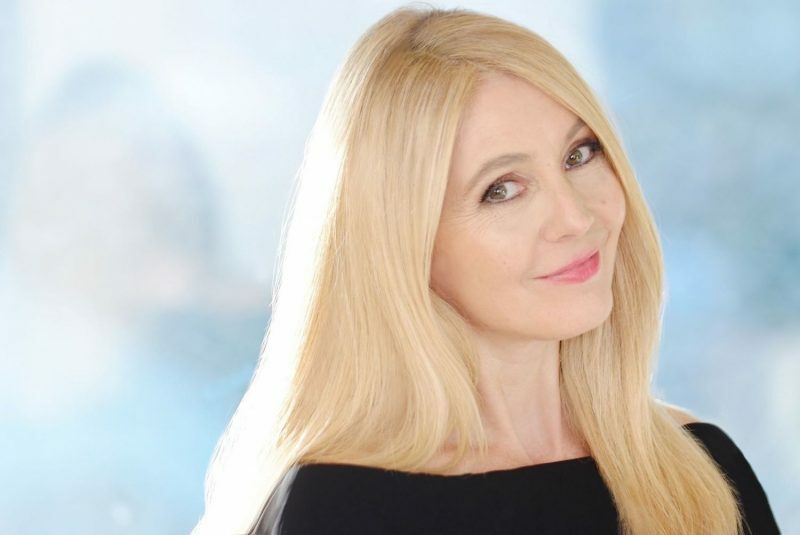 Nadia McKechnie is the current head of Tokyo Vegan Meetup and Animal Advocacy Japan. She, along with many other dedicated animal rights activists, volunteer their time and resources to share information and spread awareness on animal welfare and veganism in Japan. Nadia caught up with Breaker Japan to talk about being vegan in Tokyo and current projects. Thanks for speaking with me, Nadia. Could you introduce yourself and talk a little bit about what you’re doing in Japan? I’m a British expat that’s been living in Tokyo for about 30 years. I work as a narrator and also write English language learning books for various publishers, although I originally came to Japan to study oriental medicine. At first, I was doing other stuff, like teaching and modeling (like everyone else), and that led me to a job with NHK educational radio. I married a local and have a 16 year old! Nadia on TV Asahi raising awareness about proper food labeling. It sounds like you had a lot going on even before your volunteer work. I was actually doing the exact same thing. Modeling included. You look like a model! I’m definitely not— much happier behind a mic! Thanks. Luckily I’m tall. You’re also really involved in the animal rights movement and vegan community in Japan. 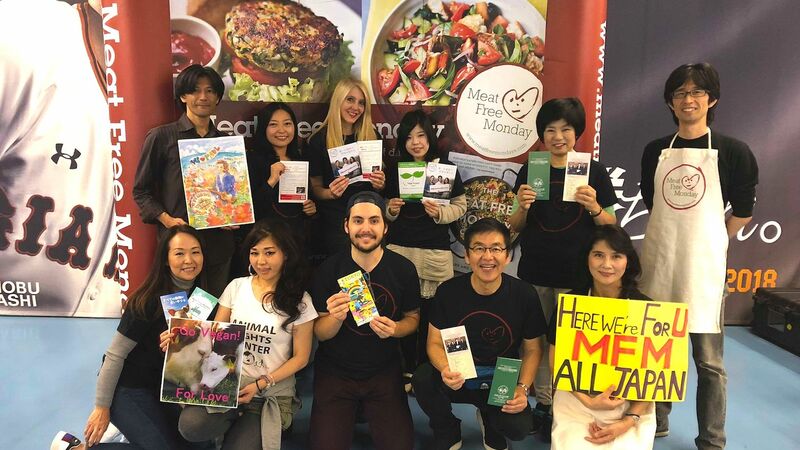 You started Animal Advocacy Japan and you’re the current leader of Tokyo Vegan Meetup— which is nearly 7,000 members strong. How did that get started? My main form of activism in Japan is the Tokyo Vegan Meetup. It had been going for some years already as just an English thing. When the old organizer left Japan a few years ago, I volunteered to take over. I love being vegan and holding parties so it seemed like a good idea! At the same time there seemed to be a big spike in veganism, so I decided to take on a Japanese co-organizer. I found my fabulous co-organizer in Saori Kondo. Together, we made everything bilingual, and now we have events just about every week. We’re even moving into outreach. 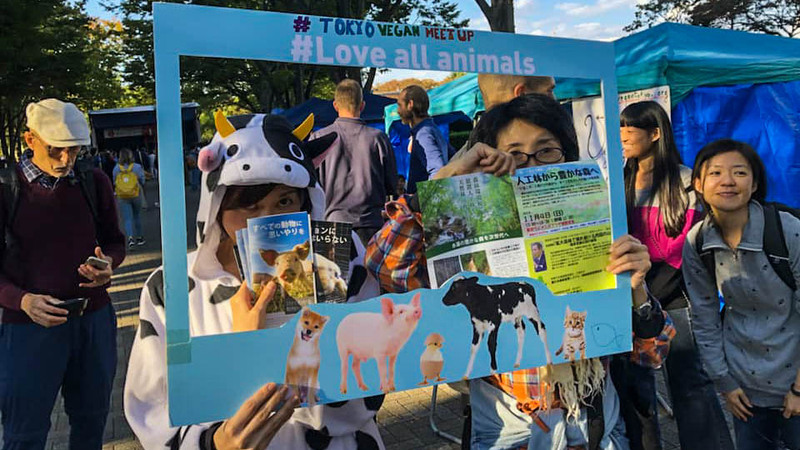 For example, organizers at Tokyo Vegefood Festa and Green Festa recently gave us booths, and we were invited to Paul McCartney’s Japan tour this week, along with a bunch of animal rights and veggie groups doing outreach for Paul’s Meat Free Monday campaign. Nadia and activist at the Paul McCartney tour in Japan. Animal Advocacy Japan’s main purpose is to share information in English and to let people know there is an animal rights movement in Japan. A lot of people abroad have no idea just how terrible the situation for animals is here, so the purpose is to try and connect Japan with the global community. Although I also volunteer with groups like the Animal Rights Center. That’s awesome. I’m happy so see a movement in Japan. But what is it like being vegan here? A lot of people assume it’s difficult. I mean, if I order a “vege salad” there is a good chance they’re going to sprinkle fish flakes on it. Japan missed the big vegetarian wave of the last 30 years that the modern vegan movement is built upon. We are basically starting from scratch. Add to the fact that the press here doesn’t cover animal rights and almost everything has animal stock in it. 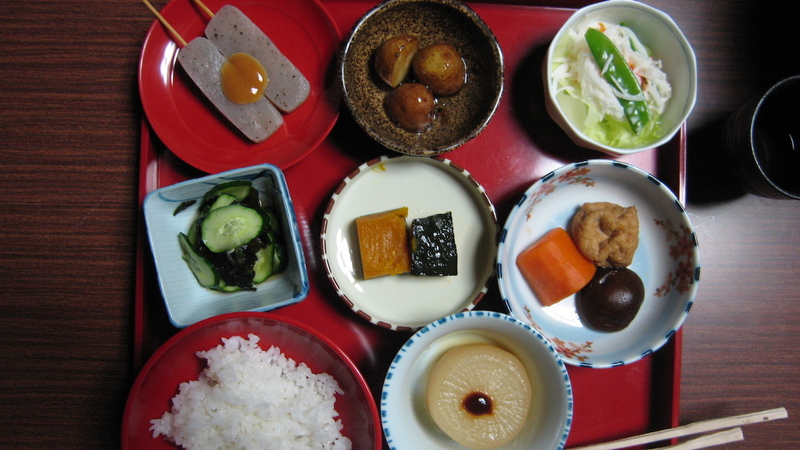 Traditional “monk food” in Japan. That’s the one. I’ll usually ask for that if I’m trying to find a meatless meal. I also get the sense that vegan restaurants in Japan are in this “trendy” phase— meaning they’re quite expensive. How do you feel? It can be a bit pricey, but all food in Tokyo can get expensive—not just vegan. There are older, but cheaper style places that serve miso soup, brown rice, soymeat, etc. But there are a lot of mid-range vegan places too. What are your go-to vegan spot in Tokyo? For lunch I like the vegetarian curry buffet at Nataraj Indian restaurants– usually three out of four curry options are vegan. I also love Nagi shokudo– a cool little grungy place in Shibuya, and the pasta at Koso Café in Ebisu is great too. My absolute favorite place is OLu Olu Cafe near Setagaya Park. The couple that run it have almost magical vegan food powers. Another place not to miss is T’s inside Tokyo Station– amazing vegan ramen! I even get my birthday cakes at their Jiyugaoka store! There are plenty of vegan options available in Tokyo. I’ll have to keep these places in mind. Ideally, cooking at home is your best bet, but I’m inept at taking care of myself. I do not know how to cook, and I cannot fit the time in to learn between my schedule and robbing banks in Valentine in Red Dead Redemption. I usually eat out, but there doesn’t seem to be very many vegan options available out there. Quick! Download the Happy Cow App! Or search on Vegewel. Tokyo has more vegan places than any other city in the world, just fewer options in regular places because of the soup stock. That’s news to me. I’ve heard of the Happy Cow App, but I’ve never used it. A lot of people from vegan friendly countries have no idea about Happy Cow. It is completely user generated. We’re all very plugged into it. So being vegan in Japan is actually lot easier than people think? The best way it was described to me (for those that don’t read Japanese) is that it is just about possible with the right apps. Check out https://vegantokyo.org for even more vegan tips. So if you can’t read Japanese, you’ll need apps. Is there anything else vegans should know? Another big problem is that labeling is woefully inadequate in Japan. I’ve actually started a project to address it. As you can see, I like starting things. Is it all hidden behind “natural flavors” like in America? The food industry in general is corrupt. When I was in school, butter had its own half of the food pyramid. It’s worse. Laws here are very vague. Even things like inari sushi and vegetable onigiri may contain fish product, but it isn’t properly labeled. We’ve started a petition to change it, and we encourage people to contact companies to ask for better labeling. It definitely works. Just a few years ago, Lawson scrapped their plans to introduce foie gras after a few complaints. Yes, and if companies cannot label food properly then we hope that they can start making dedicated vegan products. It is a bit ridiculous that companies in Japan have not tapped into the vegan market. My friends in America can just walk into any super market and walk out with a week’s worth of vegan alternatives, yet Japan will still try to feed you salmon if you tell them you’re vegetarian. Yup! London too. Japan is not barrier free either. Japanese vegans often have to stay in the closet because they run the fear of being socially ostracized because there is nothing for them to eat if they want to go to an izakaya with their mates. Right. Eating here is very much a social thing. The after work nomihodai is as much about food and eating as it is about drinking. I don’t think a lot of people outside of Japan know that. I’ve definitely ruined a few Tinder dates for suggesting vegan alternatives. Especially with the vegans who don’ drink either. As a straight edge lifer living in Tokyo, the struggle is real. 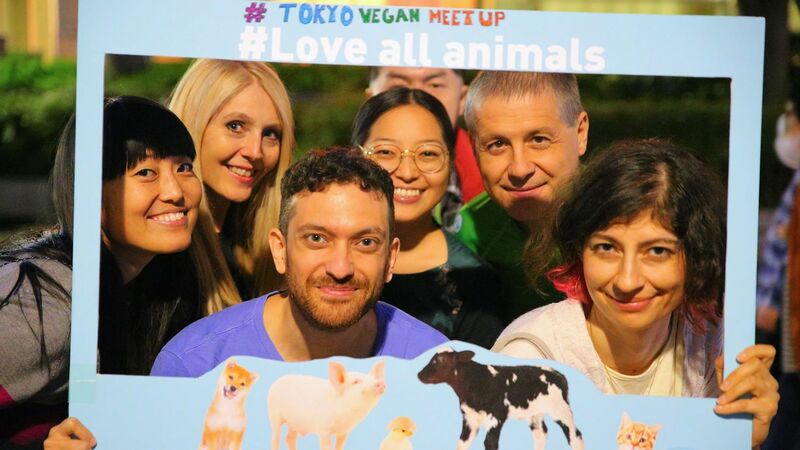 It’s great then that you’ve kept Tokyo Vegan Meetup going strong— to give vegans in Tokyo, foreigners and Japanese alike, a chance to connect with each other. Tokyo can be a lonely place. It can be even lonelier if you have strong convictions. Yes. I totally believe in the power of relationships. It’s a super friendly meetup. We have all kinds of people—vegan and non vegan, but everyone is nice. Even people who are just wanting to try vegan food are welcome to come. There’s no judgement. Everyone is welcome at Tokyo Vegan Meetup. Any other words for vegans thinking about traveling in Japan? You will have a brilliant time if you prepare in advance, but try to stick to strictly vegan places because you just can’t expect to find options in regular places. Let’s talk about animal rights in general. What’s the situation like in Japan right now? I follow your group and the Animal Rights Center Facebook page to stay updated, but I mostly just find new reasons to hate humans. It’s not good. There are basically no laws to protect livestock. Even for the Olympics— the Olympics in the UK sponsored animal welfare, like cage free eggs. The Tokyo Olympics? Nothing. Chickens in battery cages. The Animal Rights Center works hard to spread awareness, but they have only one staff member— Chihiro Okada. That is incredibly sad to hear. A lot of people were hoping the Olympics would bring about changes. I’ve only seen a few Japanese politicians, like Ayaka Shiomura, even talk about animal welfare. The Olympics are a good chance to raiser awareness of diversity and the needs of vegetarian and vegans. There are campaigns like Legacy For Animals that some overseas athletes are involved in, but there is nothing like the Humane Society or RSPCA in Japan. There is nothing here for animal rights groups to build upon. Officials think welfare standards are high enough. Animal cafes are also a big deal in Japan. Every time I walk by a group of people snapping pictures of an owl on display for a cafe in broad daylight I lose my mind. Then you have penguin cafes, the horrid conditions at cat cafes, puppy mills, and pet shops are an absolute nightmare. Reptiles and birds are treated like jewelry. It’s horrible. 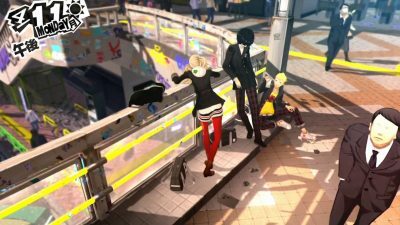 There are so many issues currently in Japan. That’s why I started AAJ in the first place. Activist are working hard, but no one really knows it. They need help— donations would go a long way. There is also a need for bilingual people from other countries who can translate and share information. I get this feeling that Japanese, especially the older generation, don’t really care about being “shamed” if it’s done by foreigners. In fact, they’ll just push back harder. Taiji is a big example of this. Another feeling I get is that kids aren’t really taught empathy for animals either. People in other countries used to be the same way. Western tourists still pay for elephant rides and go to animal shows. It’s just that there aren’t any big animal rights groups in Japan or any reporting being done by the press on animal rights. People are just unaware. People that are going to dolphin shows have no idea that the animals are suffering. There are also other factors like the language barrier, cultural issues— like how important sharing food is, or the fact that Japan is a “no demo (demonstration) culture”. 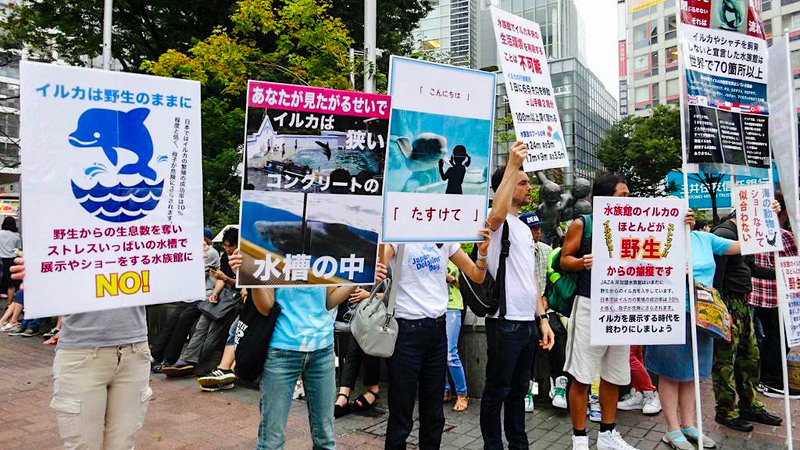 Activist in Shibuya demonstrating against dolphin shows. We need more humane education. A student group has been formed within ARC that has started passing out leaflets. Young people like them are the key as the older generation is less likely to adopt change. 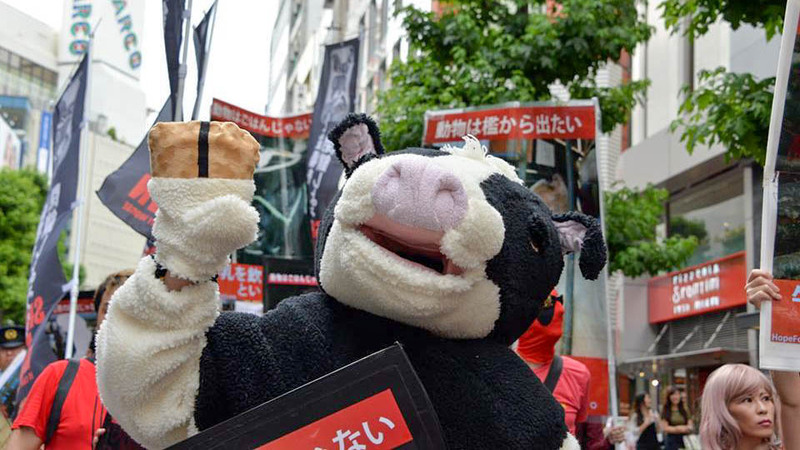 In other countries, the animal rights and vegan movement is a youth movement, but in Japan, not so much. Things will change. If not for the animals, then for the planet. What are some things foreigners and tourist can do in Japan to help, or to at the very least not further support animal cruelty? They can follow AAJ. Check out the groups in our albums and go to demonstrations. Tell your friends and family, or share information on social media. Become a supporting member of groups like ARC. Try to eat vegan as much as possible— because it’s all about supply and demand. Don’t go to zoos, aquariums, or animal cafes, but support ethical entertainments. Thanks so much, Nadia. 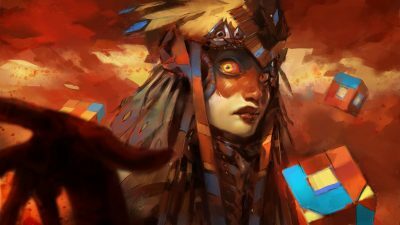 Is there anything you’re currently working on? Yes, we have a lot of plans for Tokyo Vegan Meetup, and we’ve recently started an information portal for vegans in Tokyo called VeganTokyo.org. We wanted to make it easier for vegans living in Japan— especially non-Japanese speakers. I’m also currently writing a book titled Tokyo Vegan Survival Guide for that very same purpose. It’s not a restaurant guide, but I’m often asked, “What’s vegan in the super market?” so this book will be about how avoid pitfalls and finding the right information. Oh, and any vegans looking for more information should definitely join the Japan Vegan Facebook group. It’s a huge community and very helpful. If you’d like to help support Nadia’s labeling movement, sign the current petition found here. Thanks for covering the Vegan scene in Tokyo!! Thanks so much for speaking with us, Nadia. Fantastic to hear about Tokyo veganism – but it looks like there is still a lot to do. I look forward to reading Nadia’s guide to vegan Tokyo!